You’ve probably seen the students below hosting many large events on campus, but did you know that they’re participating in a work-study job and doing this as a part-time job on campus? Averil, Sam and Melissa are the Orientation and Events Assistants working in Student Life Programs, a department on campus that works along-side the RU Student Life Team and provides opportunities for students to volunteer, work and engage with campus through events hosted throughout the year. Over the next week we’ll be featuring blogs from the Events Team, sharing their stories and the work they do. Hi friends! My name is Melissa (just call me Mel) and I am a fourth year Environment & Urban Sustainability major in the Faculty of Arts. Hello, my name is Averil, I am a second year Nursing Student at Ryerson. Hey! My name is Sam and I am a third year Accounting and Finance student at Ryerson. Q1: What is the key to a great event? 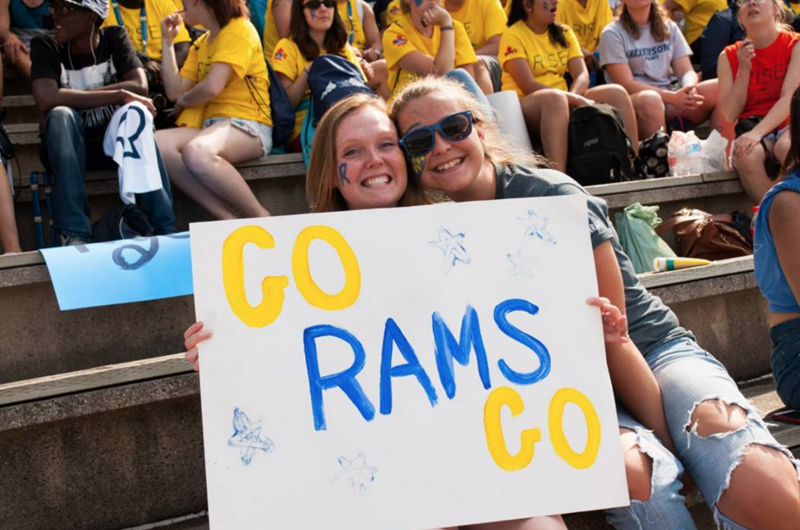 The key to great events is creating the opportunity for our very diverse student population to engage with each other and to be included in the event. I believe the key to a great event is organization and being able to include everyone. Personally, I think the key to a great event is being able to reach out to as many people as you can and having a good turnout. Ultimately, an event won’t be able to succeed without the attendees. Q2: What is your hidden talent? Q3: Why did you join the events team? Working in this position last year and experiencing the challenges and fun that this position has is the main reason why I joined the events team again. I joined again this year to gain more experience in event planning and management and to help plan incredible events for the Ryerson community to promote community building and spirit! I joined the events team because I love organizing, throwing, and attending events. I also believe that social engagement is an important aspect to individual wellness. 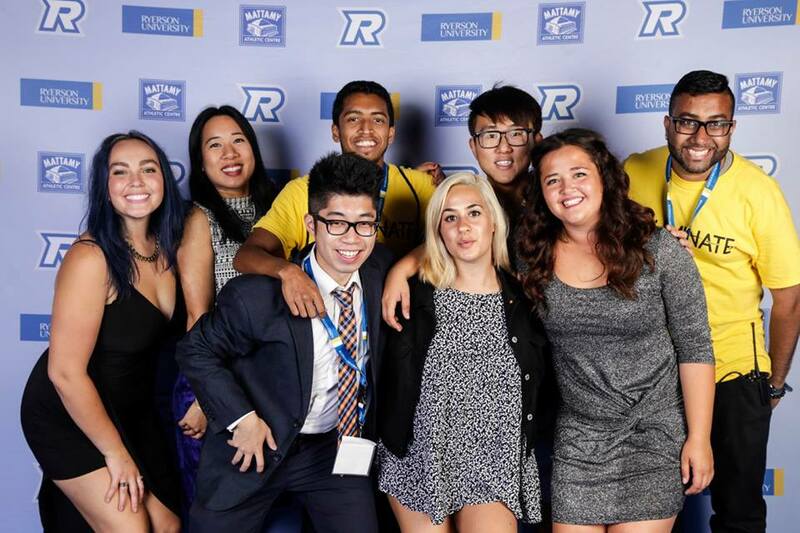 I joined the events team because I loved working within Ryerson Student Affairs over the summer and wanted to continue the experience. My goal is to be a well rounded individual and by joining the team I am able to obtain valuable work experience in event planning and management. Q4: What is your spirit animal? Drake (because he lives a proud and successful life as the 6god). Eagle (I am high on life and expect a lot of myself). Pig (FOOD. I love eating and trying different types of food). Q5: What was the first involvement opportunity you took part in? 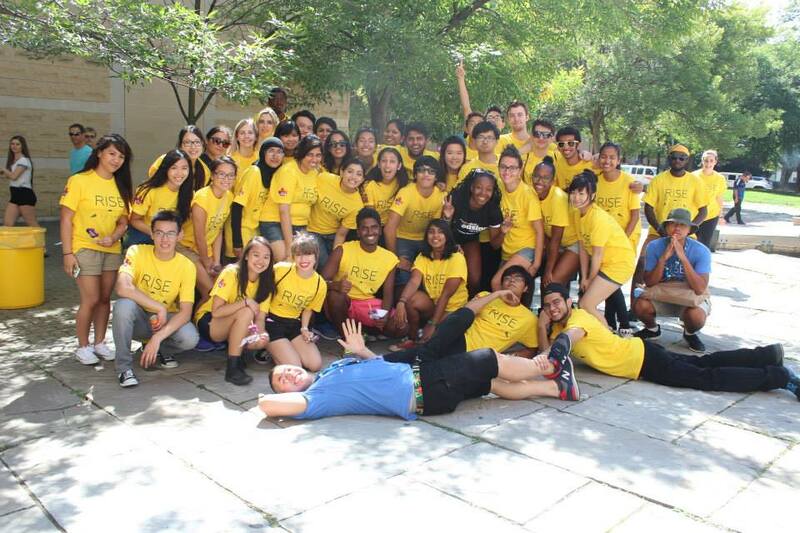 Ryerson Central Orientation as a Group Leader. Member of Ryerson’s Nursing Dance Group. Ryerson Central Orientation as an Operations Leader. 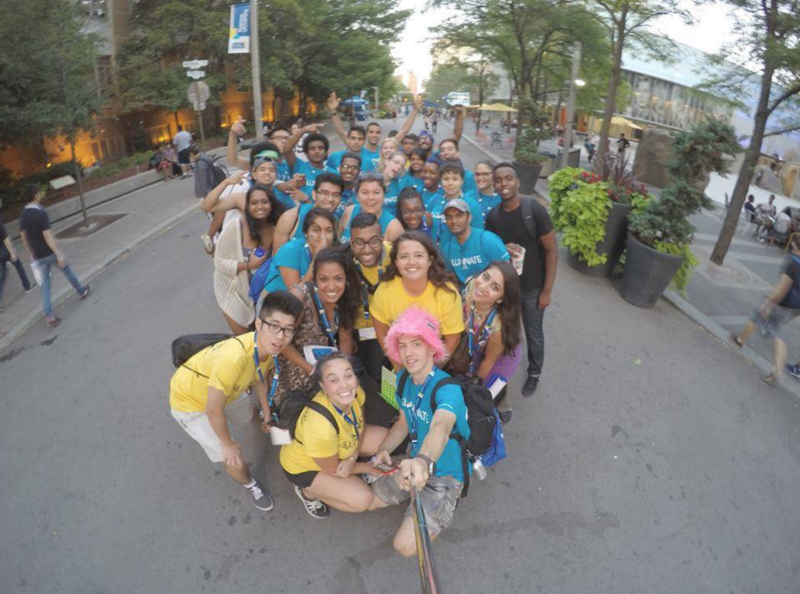 Q6: Why did you choose Ryerson? Coming from a small town in North Carolina I had no impressions of schools in the GTA so I ended up applying for a bunch of schools and Ryerson was the first school to accept me, so I jumped on it and now I’m at this incredible school and I couldn’t be happier for that chance of fate. I chose Ryerson because it offered a hands-on clinical experience in first year and the option to have a clinical placement abroad. To be honest, I didn’t initially have Ryerson as one of my first three choices for post-secondary education. However, as I talked to peers and did some extra research, I noticed Ryerson had created a new program that separated Accounting and Finance from the other business programs. I decided it was the university for me as I would be able to experience the city vibe and encounter a diverse population of people. Q7: When you graduate, what is your dream job? I want to be an official Christmas decorator. I want to be a Pediatric Nurse Practitioner and to travel. I want to be a Chartered Professional Accountant, but I would also love to work in a teamwork setting that involves a lot of traveling and driving. Q8: What is your “Why”? To engage others and spread positivity so that I can promote the inclusion of everyone and everything in a life filled with happiness and potential. To gain knowledge and experience so that I can help and inspire others. To help others feel a sense of belonging so that memorable relationships can be created. Get to know the Student Life events team even better by attending any of their creative events! Look for events on ConnectRU and keep an eye on @RUStudentLife for event updates. Do you have an event idea but just don’t know how to get started? Contact Andrew Bisnauth at abisnaut@ryerson.ca.